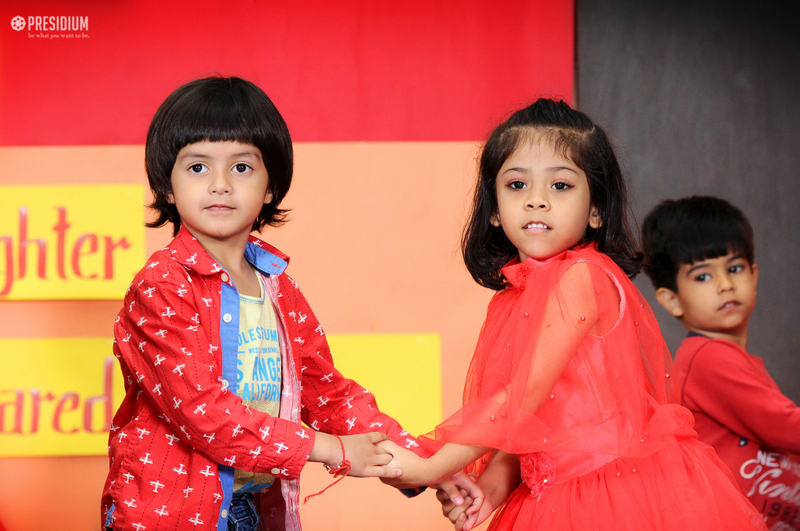 No matter how far or near, how young or old, siblings always stand by our side through thick and thin. 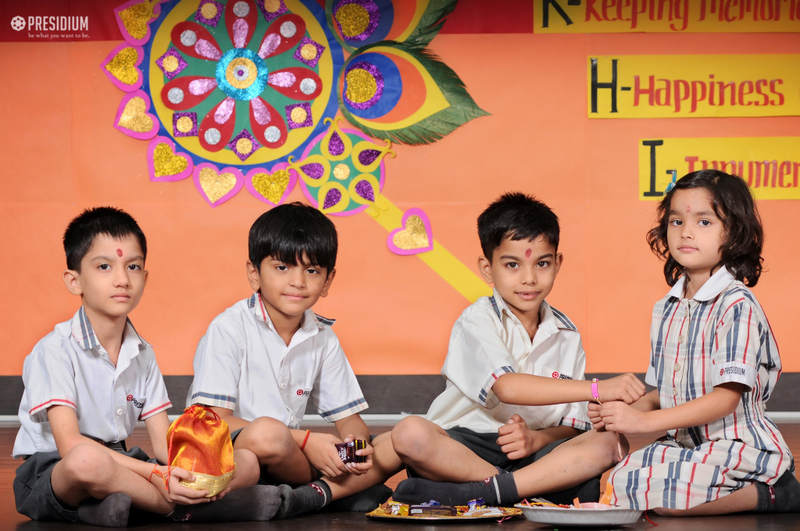 They mean the world to us and beyond. 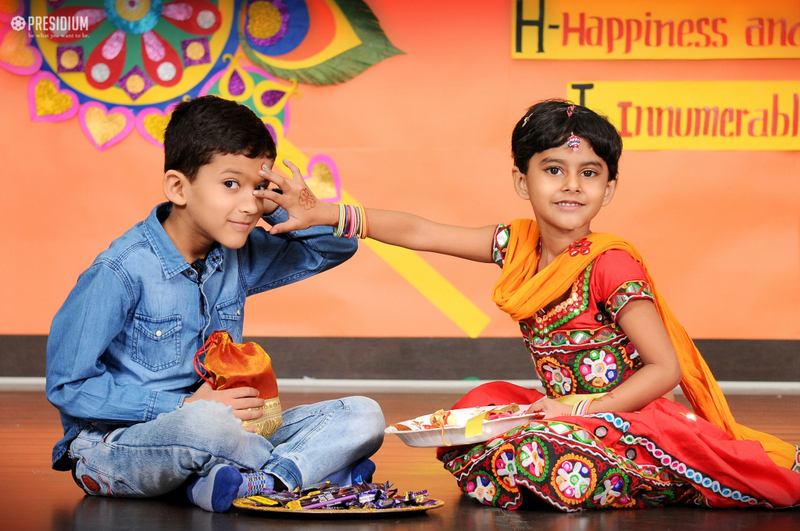 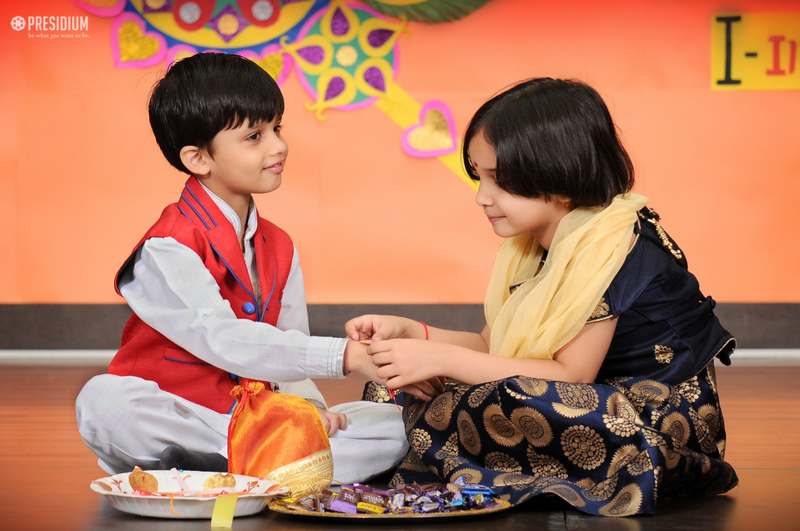 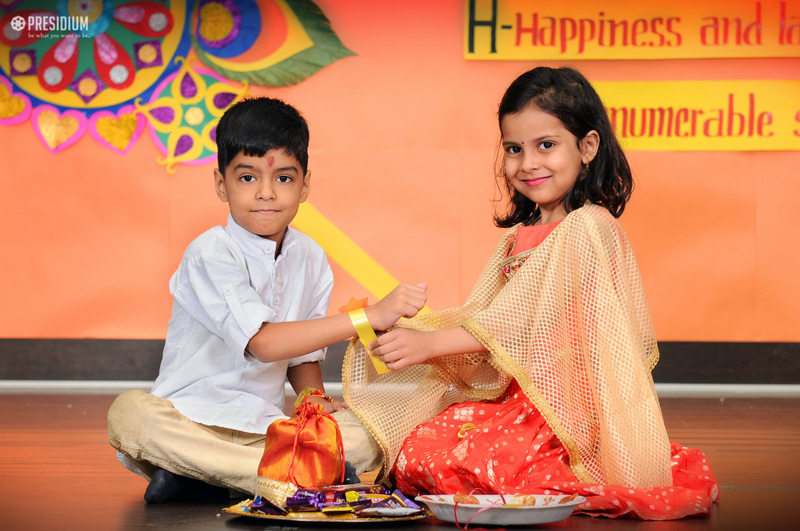 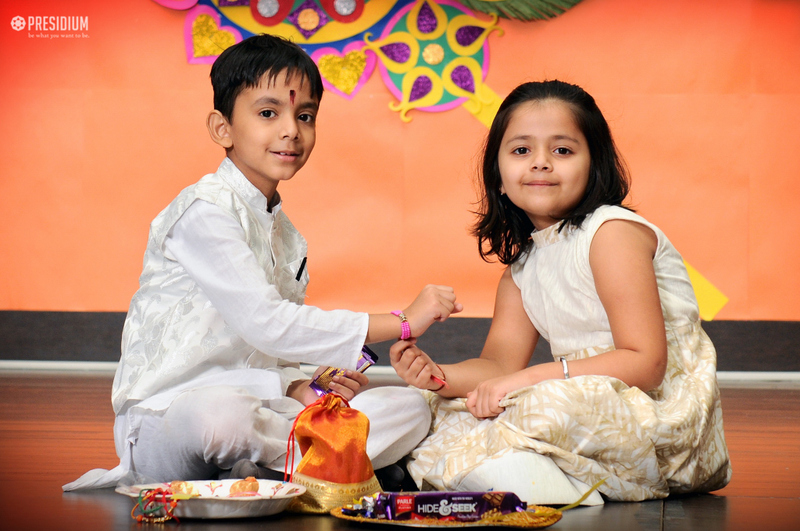 Presidium Raj Nagar celebrated this beautiful relationship between siblings with fervor and gaiety on the festival of Raksha Bandhan. 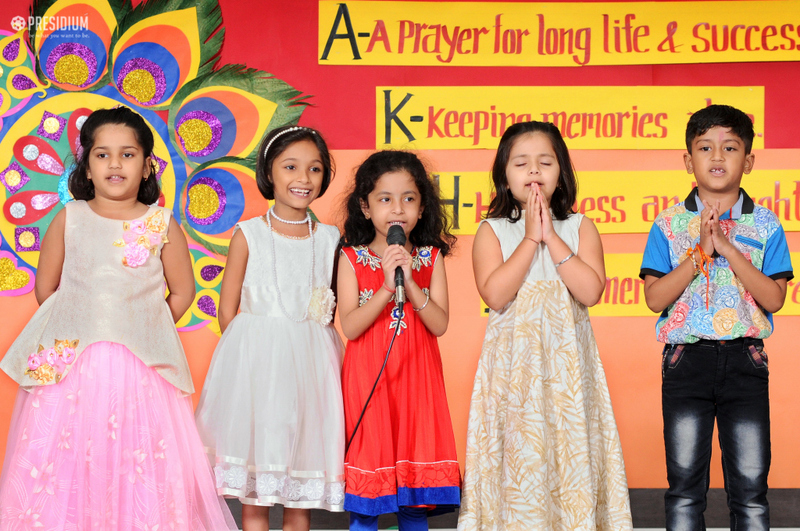 The event commenced with invoking the blessings of the Lord. 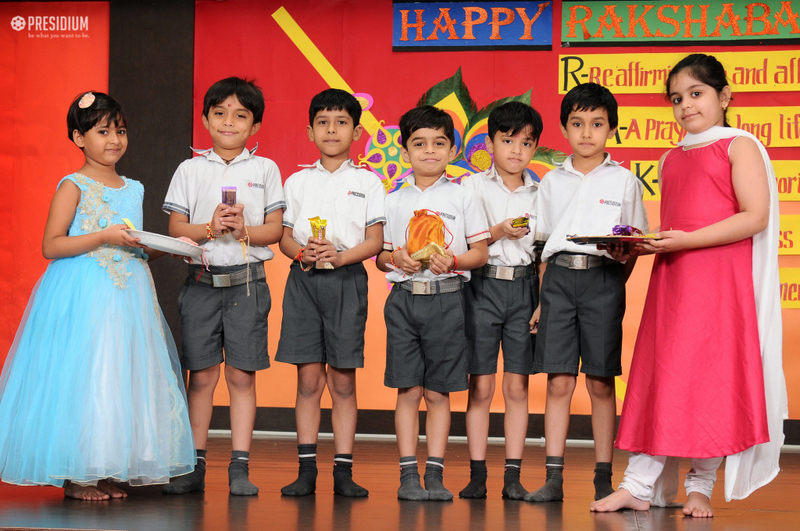 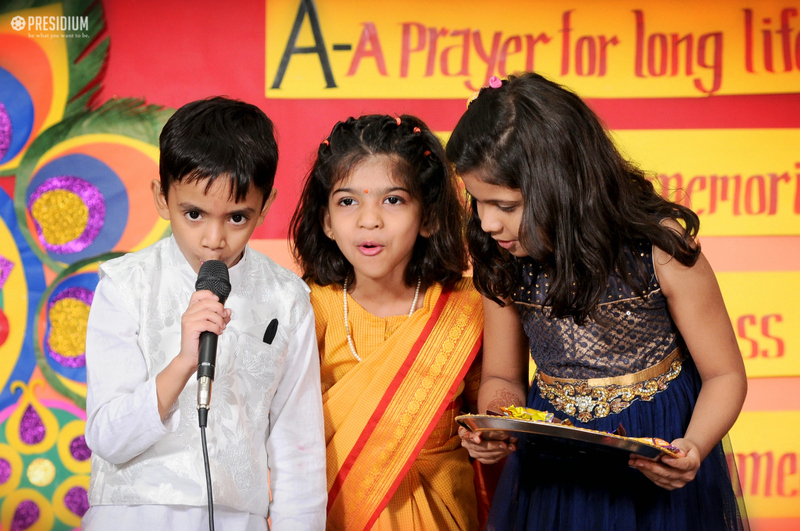 The young Presidians performed an enthralling skit depicting the historical significance of the festival. 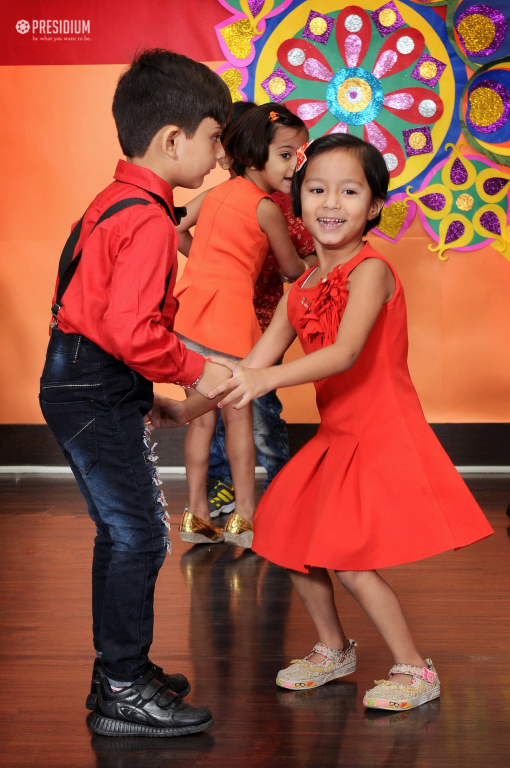 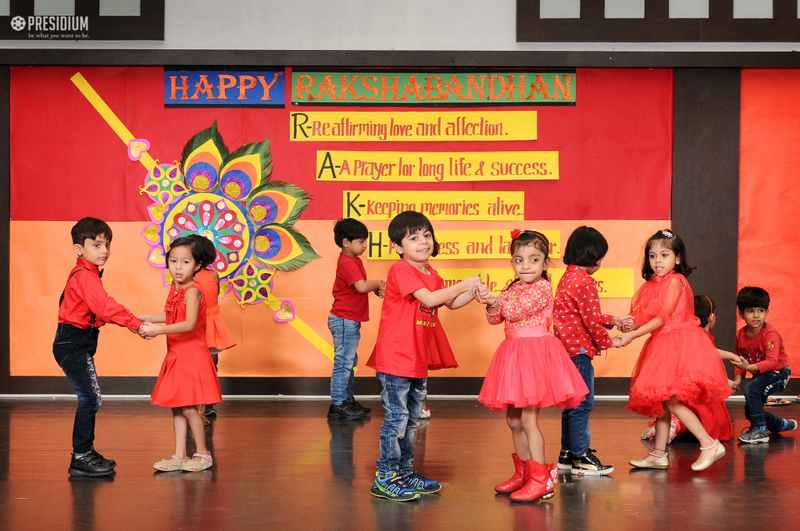 A mesmerising dance was also performed which filled the atmosphere with a festive aura. 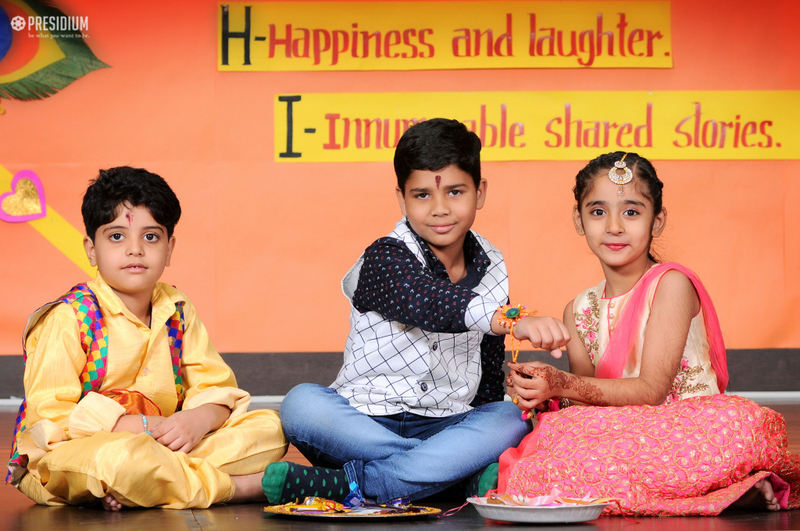 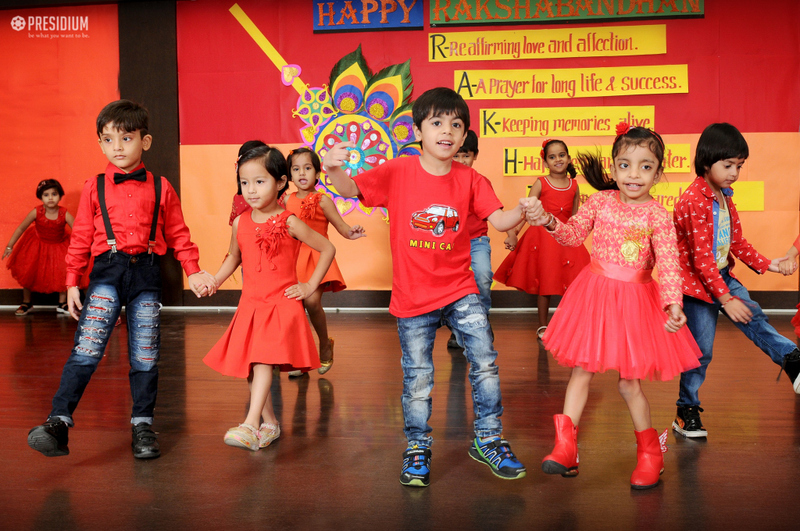 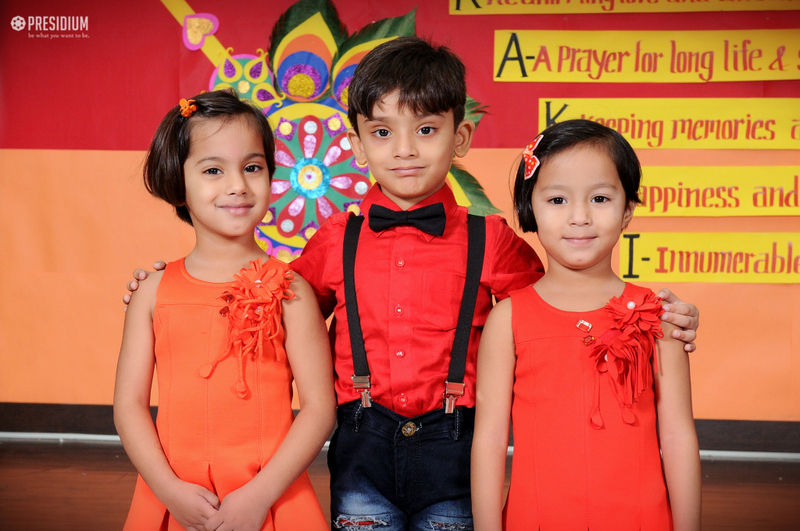 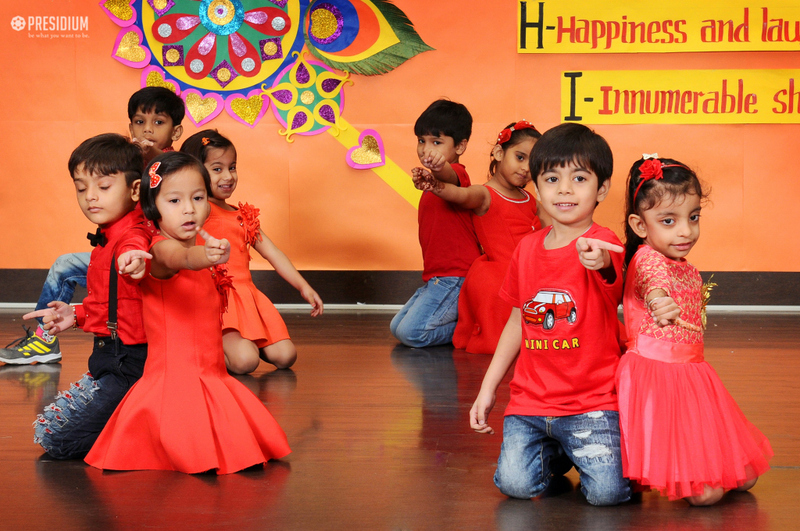 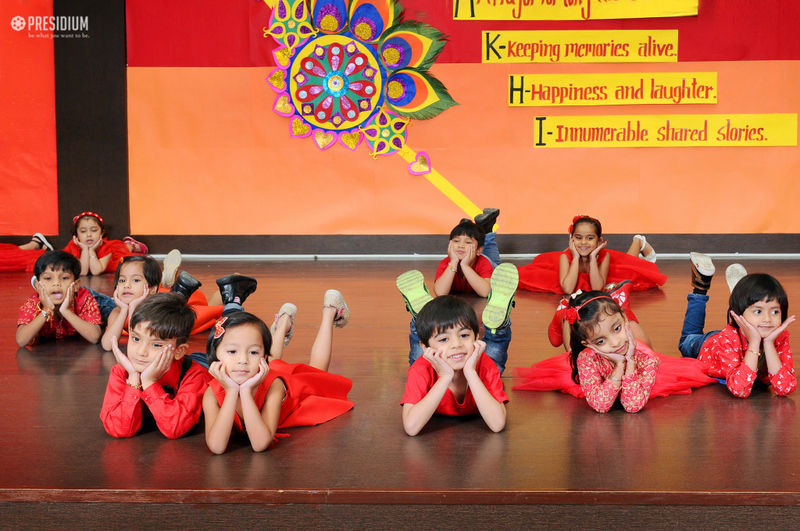 The students not only strengthened their bond of love with siblings but also promised to always uphold the traditional values that this pious festival fosters.